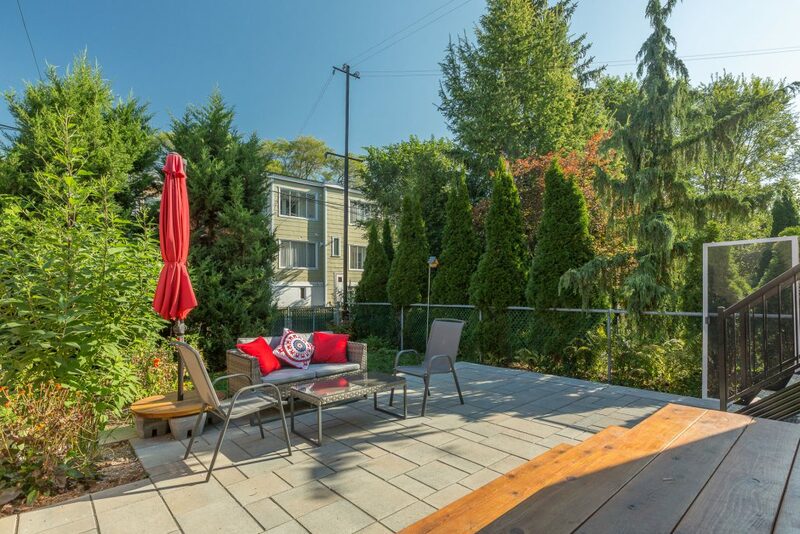 Take a look at this residential expansion and outdoor terrace construction project in Ahuntsic. You too can benefit from our experience as a general contractor specializing in residential expansion, and from our turnkey construction services. Call us for a free consultation! If you love your home and your neighbourhood and have been living there for some time, a residential expansion not only adds value to your home, but also allows you to have more space without moving. 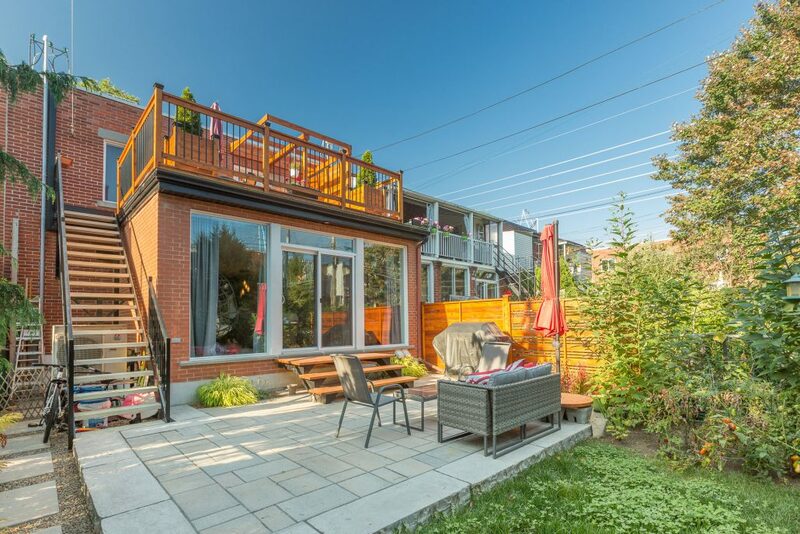 This decision allowed a Ahuntsic customer not only to benefit from a substantial residential expansion, but also to have an outdoor terrace built on the roof of the same expansion. After discussions with the architect and the client, we concluded that the most appropriate residential expansion would be a foundation expansion. Therefore, we proceeded with the excavation and then the excavation of the backyard to lay the foundations for the new expansion. This was followed by the pouring of the concrete slab, masonry, wood framing, fenestration, electricity, red brick exterior siding and roofing. We opted for large full-length windows and also added a door to the backyard. Before proceeding with the construction of the exterior terrace on the roof of the new extension, we built for our client an exterior terrace made of natural stone to make the most of the backyard. 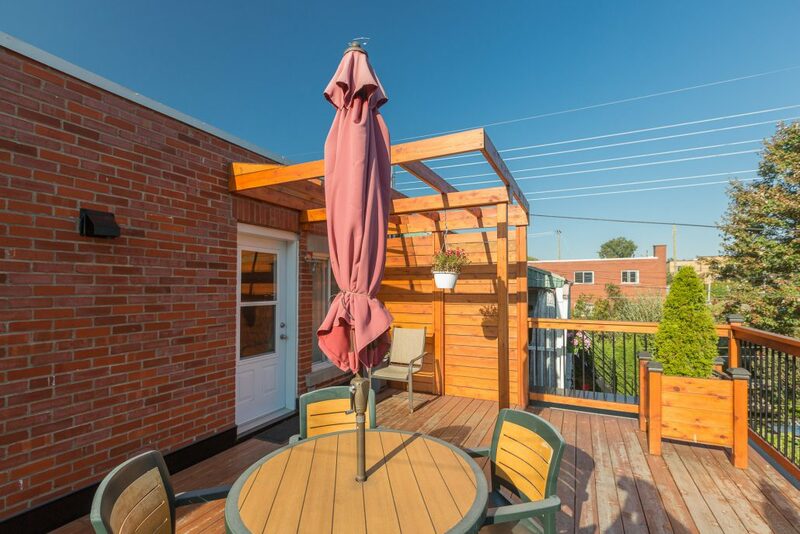 After the expansion, we built an outdoor terrace on the roof of the new room, which would be anchored to the house. 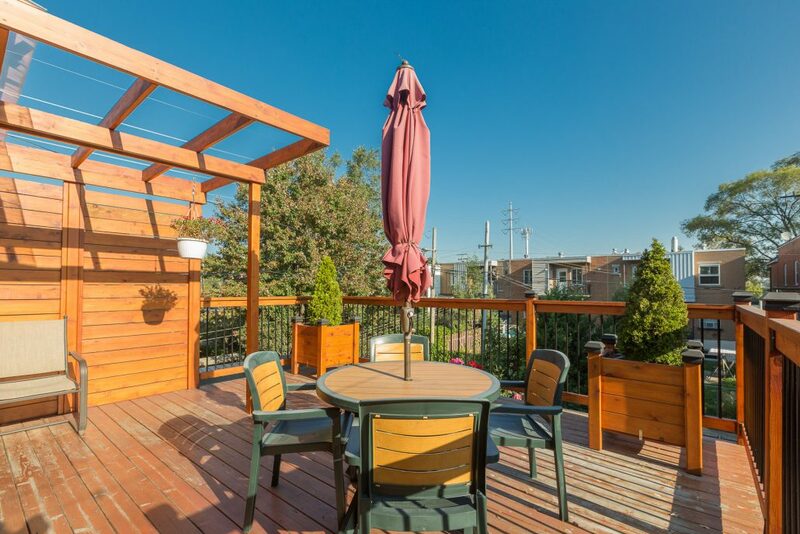 First, we built a wooden and wrought iron staircase to safely access the terrace. We recommended to our client a treated wooden floor as well as wooden and wrought iron railings. In addition, we have installed wooden panels for more privacy and a small roof to be protected from the elements. We have also added a door so that the customer can access the terrace from the second floor of the house. As a general contractor specializing in residential addition, we have taken charge of each step of this colossal project. To do this, we have established sustainable business partnerships with building engineers, architects, electricians, door and window manufacturers and painters to make this project a success from top to bottom. 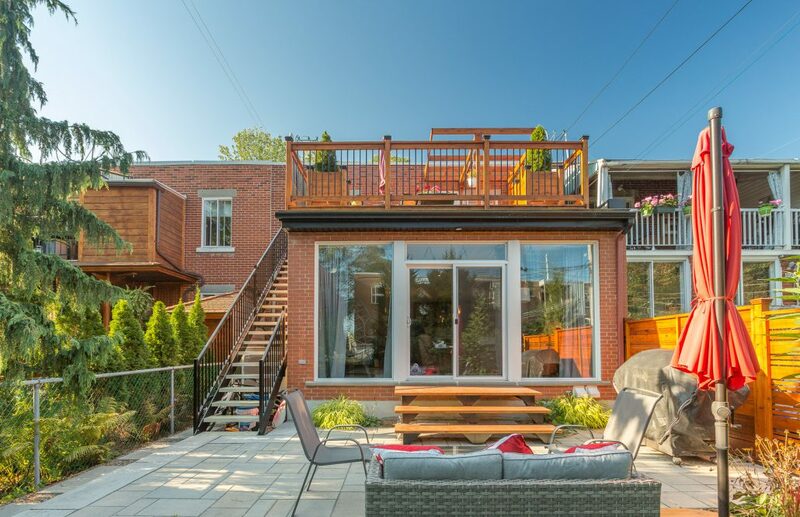 If you would like to know more about this residential expansion and terrace construction project in Ahuntsic, Montreal, our turnkey renovation services, or our prices, we invite you to contact us by email or by phone. Your first consultation is free of charge! Our team will be happy to welcome you and answer your questions.